I’m the featured card designer this month at Stick it Down! That means that when the new sketch for the month is revealed, one card is shown as an example, and this month it’s mine! Woo hoo! I subscribe to Dawn Griffith’s blog and she recently had a tutorial for this really cool Pop up panel card. I’ve been dying to make one and my son’s birthday is coming up at the end of September. He’s a football lover. It all came together when I got this Sports Balls set as a freebie from Miss Kate Cuttables. Look how neat this is! You get a surprise when you open it. Cocoa by Close to My Heart because dirt isn’t all one color. I hope you come and check out the sketch challenges over at Stick it Down. There is this card sketch, a single-page layout sketch, and a double-page. 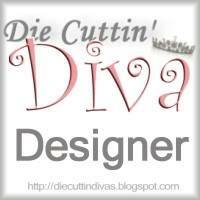 Winners get to be guest designers! This entry was posted in Paper Crafting and tagged birthday card, birthdays, card, pop-up card, Stick it Down Design Team. Bookmark the permalink. Super FUN card! Unique style and fun design! OMGOSH.. that is sooo COOL Evelyn! LOVE the way it looks like the ball is being thrown! FABULOUS! What a fantastic design! Fun idea with the ball.